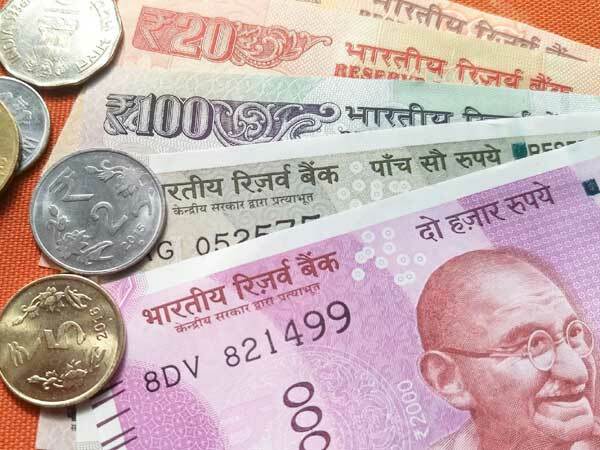 The rupee is expected to move in the range of 68-72 against the dollar in the next two-four months, and the depreciation bias in the domestic currency is likely continue, says a UBS report. According to the financial services major, the rupee is expected to eventually strengthen, nearing 66 by the end of this financial year and remain around 66.50 by the end of 2019-20. "In the near term (the next 2-4 months), we believe depreciation bias in the rupee is likely to remain. Indeed, we expect the it to remain at 68-72 against the US dollar," Tanvee Gupta Jain (economist) and Rohit Arora (strategist), UBS Securities India, said in a research note. According to UBS, the 68-72 per dollar rate for the domestic currency would be largely led by three factors: debt outflow ($6.4 billion in the June 2018 quarter), driven by tighter external conditions; pre-election uncertainty that would continue until April-June 2019; and the sum of the current account deficit (CAD) and net FDI flow likely widening to $37 billion, from $18 billion in FY18. "Towards the year-end, a weaker dollar could come to the rescue," UBS said in the a research note. The rupee has been among the worst-performing currencies against the dollar compared with peers in CY18 to date and breached the 69-mark against the US dollar amid multiple headwinds, including global uncertainties and concerns over inflation. The rupee is currently hovering around 68.87 per dollar. The brokerage, however, said that there is no need to panic, as policymakers may consider monetary and administrative measures to stabilise the rupee in an environment of sustained volatility. As a policy measure, the Reserve Bank of India might go for a policy tightening to ensure financial stability and reduce dollar bidding in the market by offering bilateral forex swaps to oil marketing companies and keep the nuclear option of raising foreign currency dollar deposits open, the report said. It says the rupee has weakened past its fair value when adjusted for productivity differential.” The worsening of India's external position amidst tightening global financial conditions and USD strength has resulted in the INR weakening to an all-time low of 69 against the USD recently. Looking at the INR on a Real Effective Exchange Rate (REER) basis and using the Harrod-Balassa-Samuelson (HBS) theorem to adjust for the productivity differential with trading partners, our model indicates the INR has overshot its equilibrium value and is undervalued at its current level,” the report said. “While India's external stability risks have widened significantly in 2018, they are still lower than in 2013 (when the INR was among the fragile five currencies in the world). The loose monetary and fiscal policy being pursued by Indian policymakers five years ago exacerbated the macroeconomic imbalance when the US Fed announced the start of tapering. Although these risks have fallen notably since 2013, they are making a gradual comeback. We expect India to register a balance-of-payment deficit of 0.5 per c ent of GDP in FY19, the first deficit in seven years. Some of the tailwinds from 2014-17 are now reversing--in FY18, global crude oil prices are up 60 per cent YoY and electronic goods imports (mostly telecom items such as mobile phones) are up 24 per cent YoY (by $10.2b, 0.4 per cent of GDP) on strong consumption demand, while a modest recovery in the investment cycle is pushing other capital goods imports. Higher imports in FY19 are likely to widen CAD to 2.5 pr cent of GDP, above the sustainable threshold,” the report added.